With the testing rig complete, we inserted the AutoWrench into the lever arm and motored the wrench’s jaws closed on the test tubing. We attached the spring scale, started the camera, and pulled. 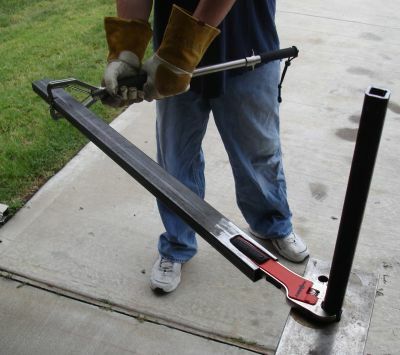 In the first test, the autoWrench gave way at a measured pull of 72 lbs, which with a 3′ lever arm represents 216 ft-lbs of torque. Considering that our scale measures in 2 lb increment — leaving us with a resolution of 6 lbs — that’s close enough to validate Black & Decker’s claim of 225 ft-lbs. 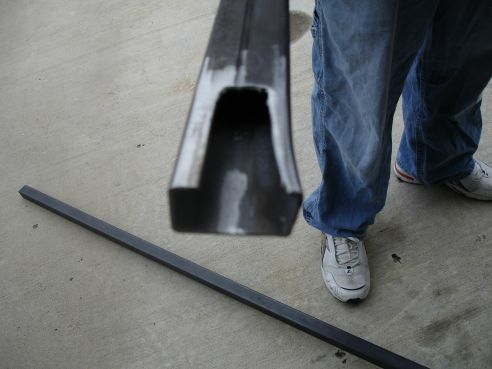 Then we tried the test four more times, resulting in 26 lbs (78 ft-lbs), 12 lbs (36 ft-lb), and 18 lbs (54 ft-lbs) respectively, revealing an interesting fact about the AutoWrench: Once you’ve exceeded its maximum torque capability, the wrench is damaged and loses most of that capability. 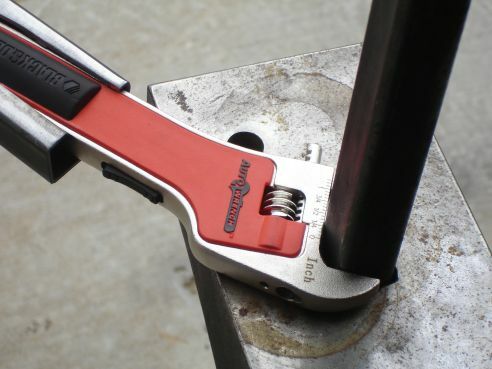 To obtain some baseline comparison data, we tried the same test with a cheap Chinese-made standard adjustable wrench, measuring to assure the lever arm was inserted at the correct length. Unfortunately, we reached the limits of our test rig before we were able to break it. 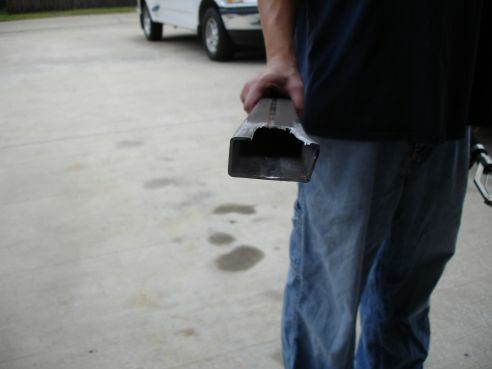 Even though we counter-twisted with a 10′ piece of 2′ square tube to steady the anvil, it started to move as we approached the 100 lb pull mark. We were able to apply a maximum of 98 lbs — 294 ft-lbs of torque — before the rig slipped. 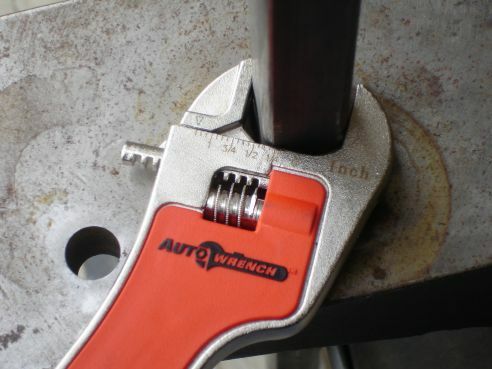 The wrench was undamaged after the test. 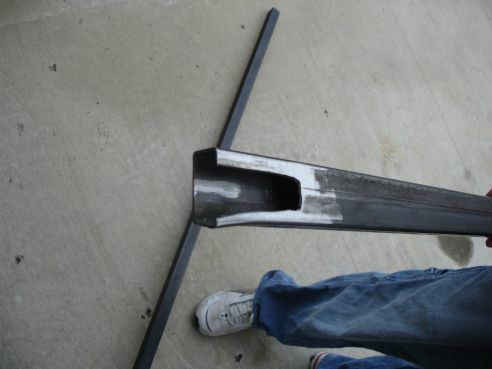 In fact, as we approached the 300 ft-lb mark — about 3 times the torque you’d apply to the lug nuts on your car — we actually began to deform our lever arm. 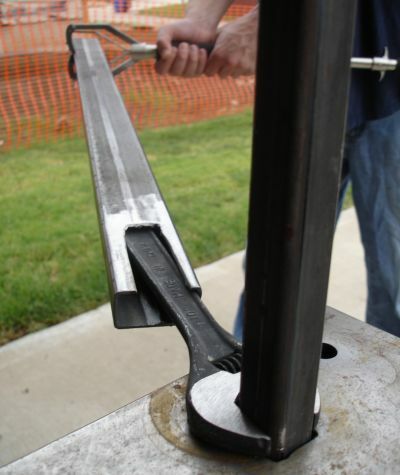 If we try this type of test again, we’ll probably have to add some additional steel structural support. We suspect Black & Decker designed in this behavior as it allows the wrench to behave in a much safer fashion under extreme loads. 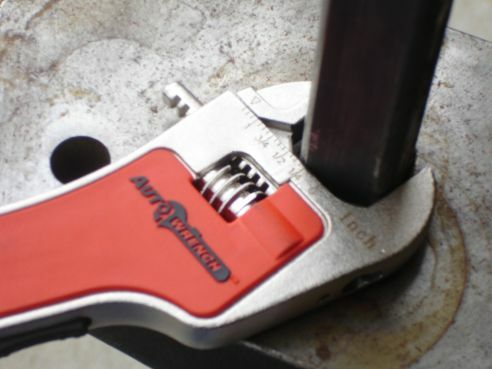 Upon failure, the AutoWrench simply clicks open a bit rather than breaking apart. On page 4: After a reality check we take the AutoWrench apart.